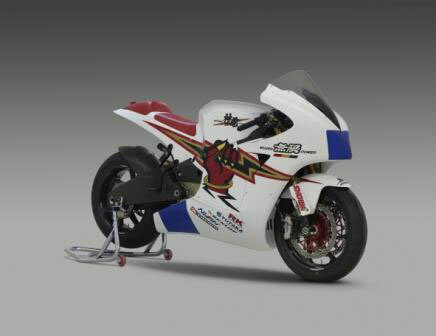 Mr Shin Nagaosa President of M-TEC Company Ltd today, at Suzuka circuit, Japan, publicly unveiled the MUGEN EV motorcycle that TEAM MUGEN will use to contend the 2012 Isle of Man TT Zero Challenge race. At the same event the nominated rider for the Isle of Man race in June was revealed as none other than one of the most successful Isle of Man riders of all time, 17 times TT winner, John McGuinness. The motorcycle on which McGuinness will make his debut in the zero-emission TT Zero Challenge race is an all-new ground-up design from MUGEN featuring a carbon fibre frame and swingarm and has been designed with the island circuit specifically in mind. 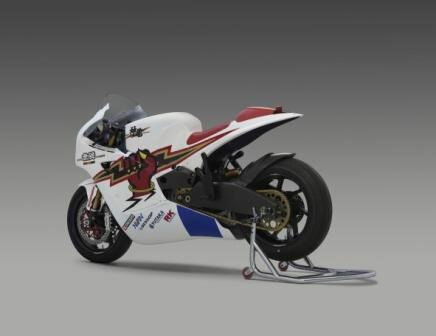 The bike which has been christened “SHINDEN” (electricity of God) will be one of those targeting the milestone of averaging 100+mph lap of the 37.63 mile course, which has yet to be achieved by an EV machine.